As you may have guessed from the title, this is not a whisky tasting post. It's rare that we feature something other than whisk(e)y on this blog, but it does happen from time to time. Generally it needs to be something unique, interesting, rare, or special. 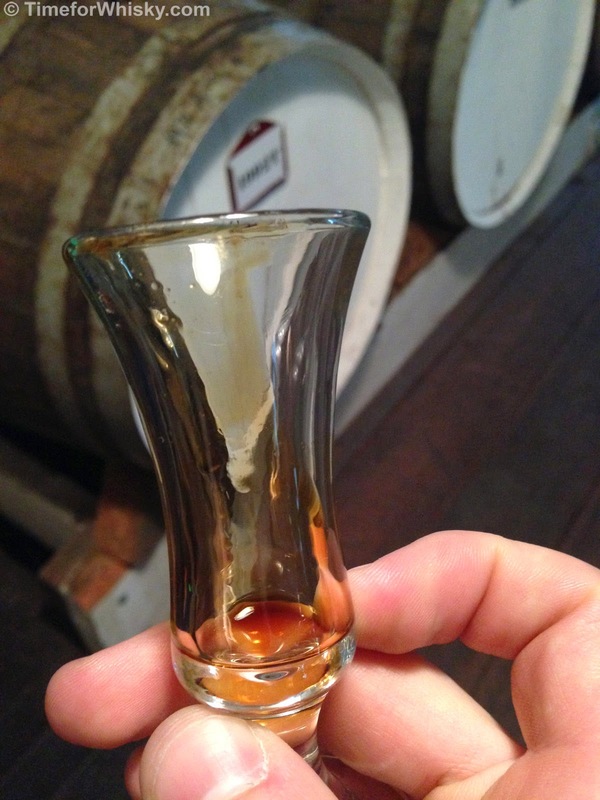 ...something like a port that's been aged in oak for 100 years. 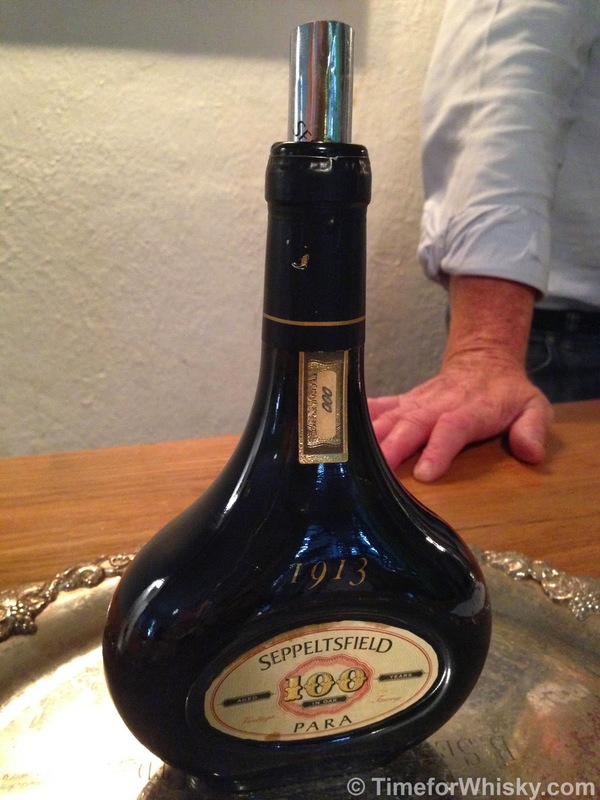 Something like Seppeltsfield's 100 year old Para Tawny (previously known as Port, before the European Union Protected Designation of Origin guidelines forced everyone outside of the Douro Valley in Northern Portugal to take on a different name). Steph and I had the pleasure of touring the Seppeltsfield Winery in South Australia's Barossa Valley earlier this year, and jumped at the chance to take the "Centenary Tour" which (as well as being a fascinating insight into the history of the winery) offers two very special tastings at the end - a tasting of your birth year, and a tasting of the latest release 100 year old Para (in our case, the 1913). 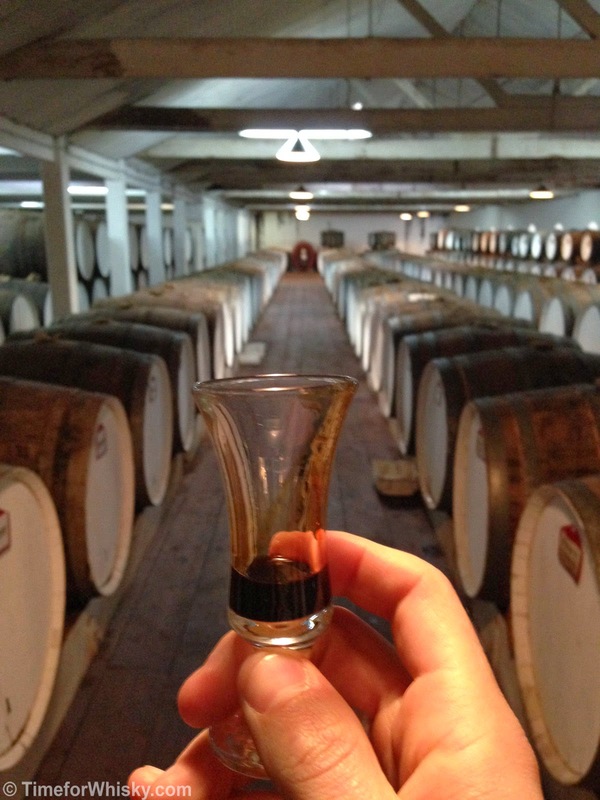 At $95/head it's one of the more expensive winery tours, but how often do you get to taste something that's been ageing in oak since before World War I began (and in a room containing filled barrels dating back to 1878, no less)? Colour: Black and syrupy. Thick, oily, with the longest legs I've ever seen. Nose: Coffee, toffee, fresh(!!) vanilla bean. Palate: Chilli, cayenne pepper, but classic Port / Tawny notes - Christmas cake, raisins. Very strong vanilla notes. Finish: Christmas cake. Extremely long. Keeps going, and going, and going. Rating (on my very non-scientific scale): 96/100. Amazing freshness. World War I....nope, it hadn't started yet. A fascinating and delicious piece of history. If you ever get the chance, I can highly recommend it.